New Session means NEW SIGNS! “Sign” Up Again! 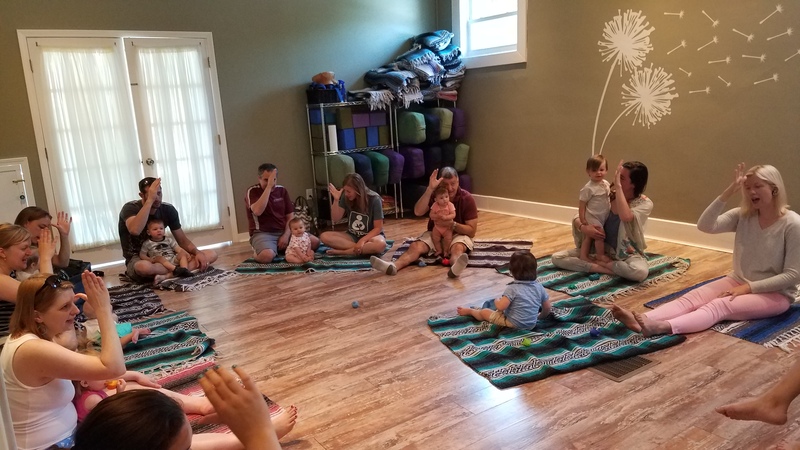 Repeating sessions is an opportunity to strengthen your practice, spend time with other families…and the kiddos just love it as they get involved in the routine of the class. Join us – AGAIN & AGAIN & AGAIN!!! This 5 week, interactive class series if for babies 4-24 months old and their adult caregiver(s). We will use songs, books and playful activities to teach adults and babies how to use simple ASL Signs for pre-verbal communications….while having fun! New signs will be taught each week and each class will have a theme (such as meal time, bath time, etc.) Each week is a stand alone session and we will rotate the ten topics over two 5-week sessions. Supplies are included. Come to play, learn and make new friends. Research shows that babies who sign actually speak sooner and are less frustrated than their peers.